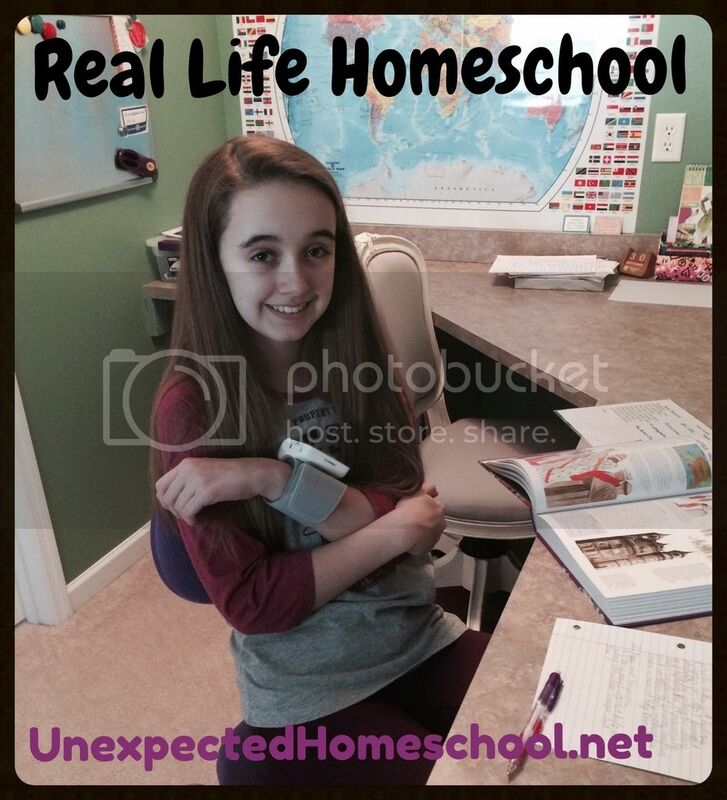 We are past the half way mark of our 5 Days of Real Life Homeschool series. So far the week in question has not been the most productive for school, but lots of real life has happened including a much needed recharging Wednesday. Thursday - Homeschool co-op day! Again, I'm up showered before I attempt to wake Amber at 9:00 am. Amber takes her medication but does not wait for them to take effect before starting her shower. The previous evening Amber had carefully selected her co-op outfit. She is feeling good about herself lately and enjoys looking nice. We make it out the door by 10:30 am on our way to our church which is where the co-op for this group is held. 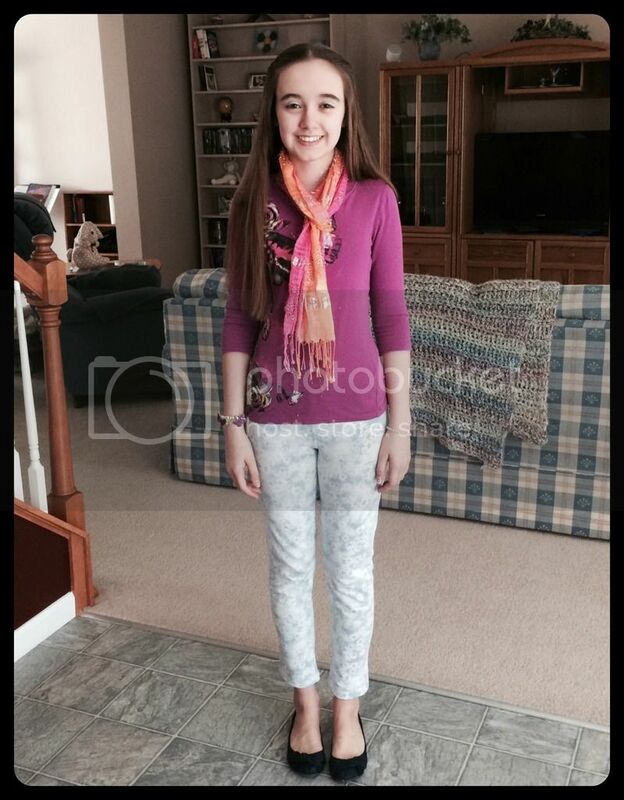 Amber attends a Teen Bible class at 11 am, then enjoys an hour lunch with her friends before Photography Art and a two hour Teen Drama class. I normally am free to socialize until after lunch when I teach two of the three class times. Amber and her best friend work on some of their creative writing during the lunch period. Their other friends remain to play in the gym after eating, but Amber can't take the noise and goes to her next classroom early. Her friend usually joins her. The older kids are allowed this freedom, and honestly it is very loud in the gym during lunch. Normally I give Amber a lot of freedom during the co-op because she is safe inside the church and I know she will follow the co-op rules. She does need to find me when it's time for her medication. However, this particular week we are still dealing with Amber's increased dosage of the vasopressor so I need to monitor her blood pressure and heart rate regularly. She's not even remotely happy to see me each time I go to check her vitals. Ready for co-op classes. A little tired though. We are both exhausted by the time we make it home in the late afternoon. Amber needs a snack and I need to plan dinner. I'm so worn out that I don't really care who eats dinner at this point. We play with our lonely kitties for a few minutes before I realize that Amber looks a little more exhausted than normal. She actually has a migraine now and her lower extremities are turning lovely colors from blood pooling. She is beyond the point of being able to function, so I make her lay on the couch and fetch her iPad for her. She chats with the friend she just saw at co-op, watches TV, snacks on more cheese and water (because the snack she got herself was even more pathetic). Fred calls on his way home and assumes we will be going out for dinner. I check that Amber will be capable of this and she agrees. Amber perks up a bit during dinner and tells Fred all about her day at co-op. Fred and I discuss any additions he thinks should be made to the Mayo document that must be faxed the next day. Once home I review the Mayo document and make small additions. Fred then reviews it for typos, mistakes or any information he thinks still needs to be adjusted. Amber is watching Disney Channel, resting, playing laser bug with the kitties and occasionally iMessaging her friend, again. Lunch with friends. Dinner with Mom and Dad. She was more focused at lunch. The Mayo document is complete - 2200 words. I started it Wednesday afternoon, was gone most of the day on Thursday and have it finished Thursday evening. I print out the document, and copy Amber's autonomic test results as part of the package that needs to be faxed Friday. Amber goes to bed early because she is exhausted and we have a homeschool group teen outing on Friday. I stay up late working on my iPad writing a post for Friday and anxiously researching places to stay in Rochester. The Ronald McDonald House is supposed to be nice, but the procedures to be admitted and the lack of reservations will put me over the edge, I fear. We need a backup hotel plan. That's the end of day four! It is always a full school day for Amber, even if the classes are not considered core. Tomorrow is the final installment of the 5 Days of Real Life Homeschool, I hope to see you back then! What a busy day. I am so glad Amber has good friends. Thanks for sharing. It sometimes feels like all of our days are busy, despite trying to be calmer. The co-op has been such a blessing to us though. There are many events we don't attend in order for Amber to feel up to going to co-op classes, but they are worth it. Seems like your days are so busy and on the go! 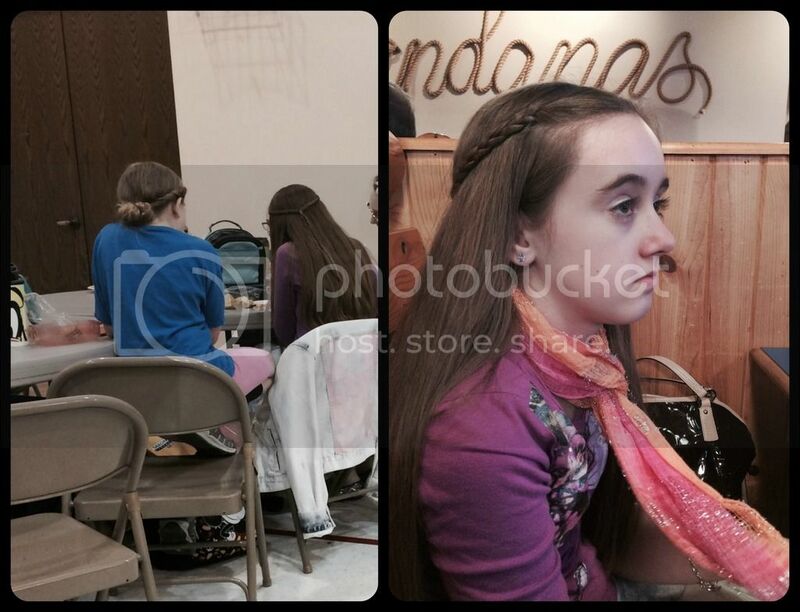 It is a blessing though, that you do homeschool and are able to share in all these day to day activities with Amber. Lucky for you both that you get to attend Co-op. I cannot wait for the time when Gia and I can do that! Enjoy your Friday together! !